The growth of Unilever's purpose-driven brands should lay to rest the argument that there is a conflict between profit and purpose, says Becky Willan, the managing director of strategic and creative brand purpose agency Given. Some marketers may be surprised to read that purpose-driven brands are the driving force behind Unilever’s growth. 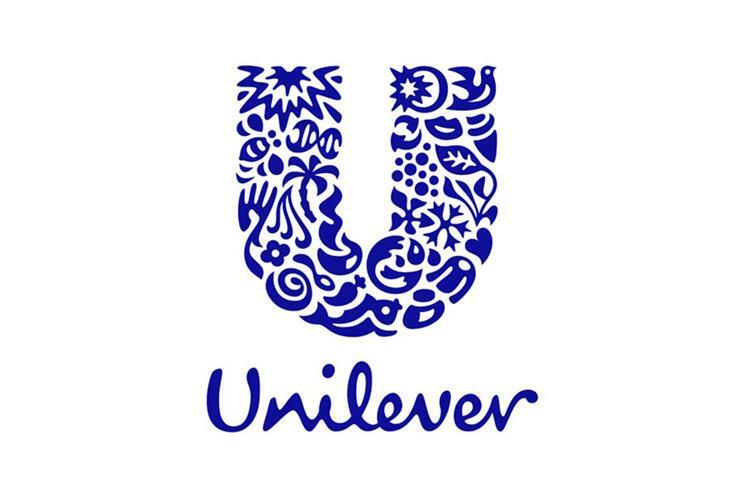 Last week the company reported that its Sustainable Living brands grew over 50% faster than the rest of the business and delivered more than 60% of Unilever’s growth in 2016. These amazing results are testament to the commitment that the business has made, under the leadership of Paul Polman, to its Sustainable Living Plan. They should also lay to rest the argument that there is a conflict between profit and purpose. Like many multinationals, purpose has been part of the Unilever corporate story for several years. But perhaps no other global business has worked so hard to embed purpose into decision making, from sourcing to packaging to new product development. The strategy is paying off; purpose is starting to create value for Unilever’s consumer brands. In categories like FMCG, where there is a high degree of similarity in products, brands and price points, purpose can be a powerful platform for brand growth. FMCG marketing can be a real battleground, where it is often miniscule hooks that make the brand more relevant or distinctive. In this arena, purpose can be a signifier to consumers that the brand offers them something better, and makes a low investment choice a little bit easier. Unilever’s own research shows that over half of consumers already buy or want to buy sustainably. It will rarely be the only reason a consumer will buy a brand, but it can be another reason. A compelling purpose creates value in all the ways that FMCG marketers love. Firstly, purpose helps retain customers. It helps keep the brands we like top of mind and it drives affinity by creating more emotional connections; for the most part, Dove’s Campaign for Real Beauty has been hugely successful because it has built a real, unfiltered relationship with their consumers. Secondly, purpose helps recruit customers; it is a platform for acquisition; providing a point of differentiation in categories that have established category rules around marketing, like detergents. A clear and relevant purpose can create new news for brands. Take Axe as an example. Unilever is disrupting the way consumers view the brand and appealing to a changing audience by starting a different conversation about masculinity. Thirdly, purpose adds value; providing a platform for innovation; like South African brand Sunlight, which halves the number of rinses required to hand-wash laundry, making it more efficient and sustainable in a market with frequent droughts. Once seen as a niche strategy, only suitable for "nice" brands like The Body Shop, Innocent or Ben & Jerry’s, purpose is becoming an essential ingredient in the mainstream marketers’ toolkit. Purpose might be something of a zeitgeist among marketers, but it’s not a passing trend. It’s a fundamental transformation in how successful brands are created and grown, with the same potential scale, impact and opportunity as the transformation we have seen in businesses driven by digital technology. Like digital, purpose affects every decision you make as a business. It is an area where marketing has an opportunity to lead. But just like digital, purpose has a different set of rules. So, how do you know if you are doing purpose right? It needs to be treated differently to conventional marketing. This isn’t simply about a big advertising idea. It’s got to be actionable and about creating measurable and scalable change; in your entire business, for your customers, and for the world. You can’t have purpose, without brand substance. Purpose with substance means being credible in terms of the issues you can affect by leveraging your unique capabilities and assets. It means doing something, not just saying something. And even Unilever can come unstuck, as the controversy around Dove’s more recent Real Beauty bottles shows, you can’t "sweat" purpose like a conventional marketing asset. Rather than reflecting the "one of a kind" body shapes of their consumers and empowering women to feel good about their bodies, the influencer campaign was roundly thought of as a marketing gimmick. If you get it right, purpose can help drive top line growth. And as Unilever shows, it can help grow the bottom line too. The arguments for eco-efficiency may be familiar, but Unilever’s results in this area are still impressive. Since 2008, eco-efficiencies have avoided costs in their factories of over €700 million, with about €250 million savings coming from its waste reduction programme. Longer-term, Unilever’s purpose-led strategy is helping mitigate risks in energy security and agricultural supply chains. Purpose creates more robust, as well as more efficient businesses. The focus on this strategy will ensure Unilever protects one of its most important assets; marketing talent. As Deloitte reported in its 2017 Millennial Survey, 76% of millennials regard business as a force for positive, social impact, but multinationals were considered to be falling short of their potential to alleviate society’s challenges. Since the best brands are built by the best talent, there’s an opportunity for global corporates like Unilever to bridge this gap to attract and retain the most passionate, motivated marketers of the future. Unilever’s success shows that used effectively and supported throughout the business, purpose can be a hugely effective platform for growth. Done right, purpose is not a trend or marketing fad. Far from it. Purpose with substance is becoming an essential element of successful brand building. It’s time for marketers to take notice and start thinking about how to create the right environment for designing and implementing purpose strategies for their brands.